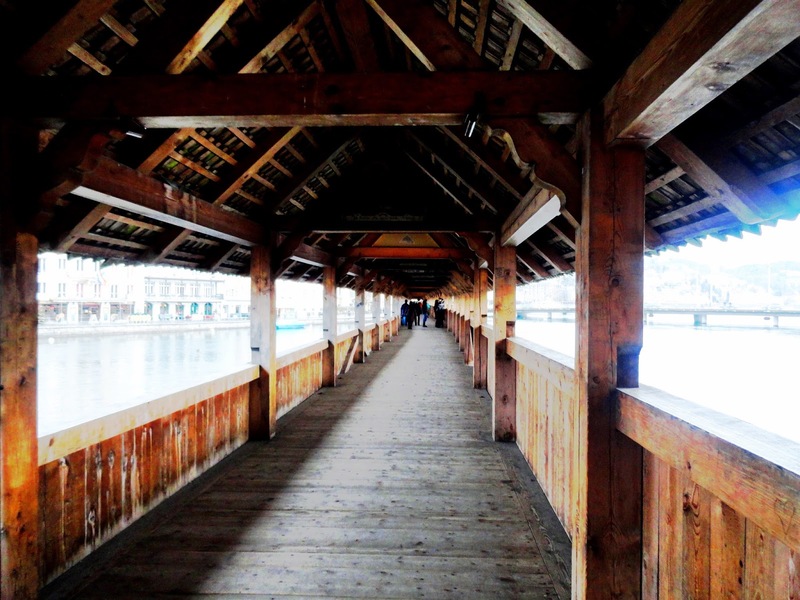 Luzern (also known as Lucerne in English) is one of the most captivating cities in Switzerland. I was reading somewhere that it is also rated by tripadvisor as No. 3 cities to visit in Swiss. This place has an old world charm along with surrounding Alps adding to the mesmerizing beauty along with the city life. 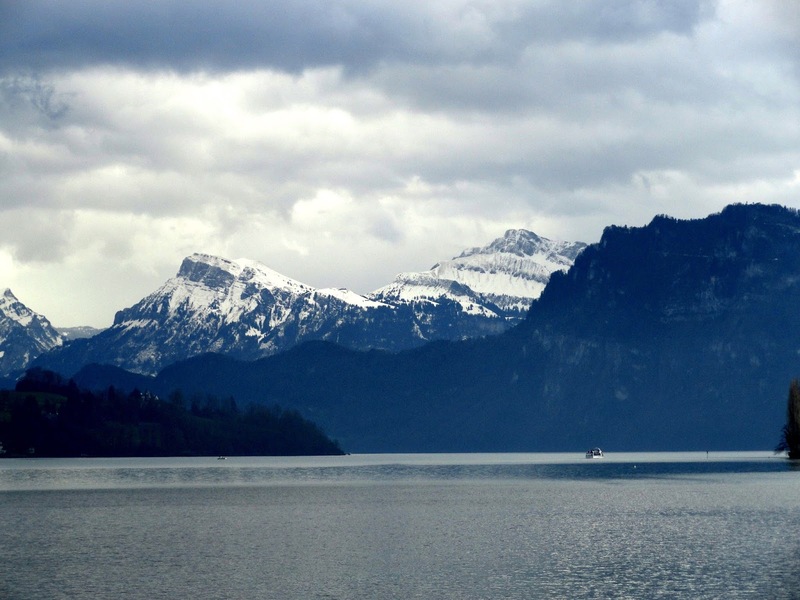 As soon as you come out of the station, you will be captivated by the Luzern lake and the overlooking Alps mountains. 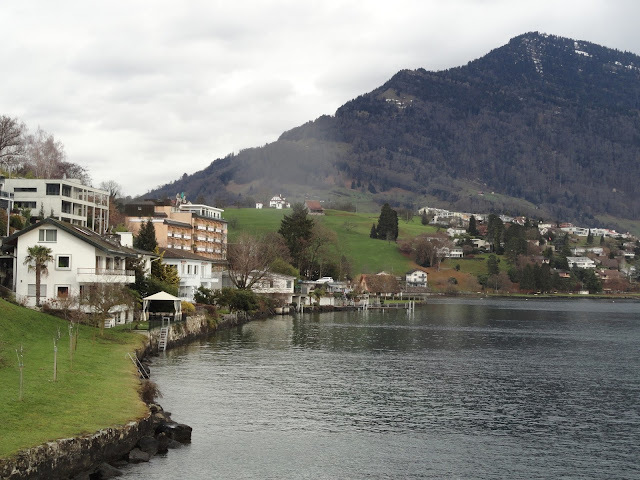 How to Go- Luzern or Lucerne is close to prominent cities in Swizz. If you have a Euro pass or a Swiss pass, the journey will become very comfortable as you need not worry about booking tickets, just board any train in that direction. When to go- Well I travelled during December month.. 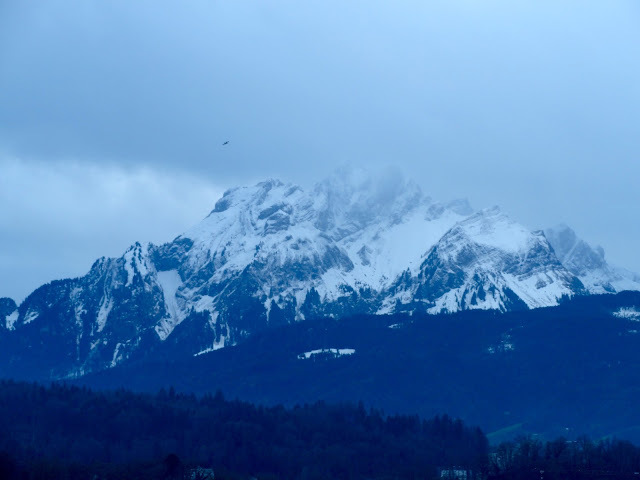 The weather was cold and you could clearly notice the snow capped Alpine Mountains. I am sure it would be equally pleasant and enjoyable to visit during summers and autumn seasons. What to do- Firstly as you get down on the Luzern zentrum station, take a city map from the tourist office on the station itself. If you plan to stay here and have to checkin into a hotel, normally the hotel reception will also have a tourist map free of cost. I was there only for a day trip- hopped from Freiburg, spent one day and then went to Zurich the next day. Here are a few things that might interest you- most of them are at walking distance from the city center, so no need to worry about bus or trams. 1. 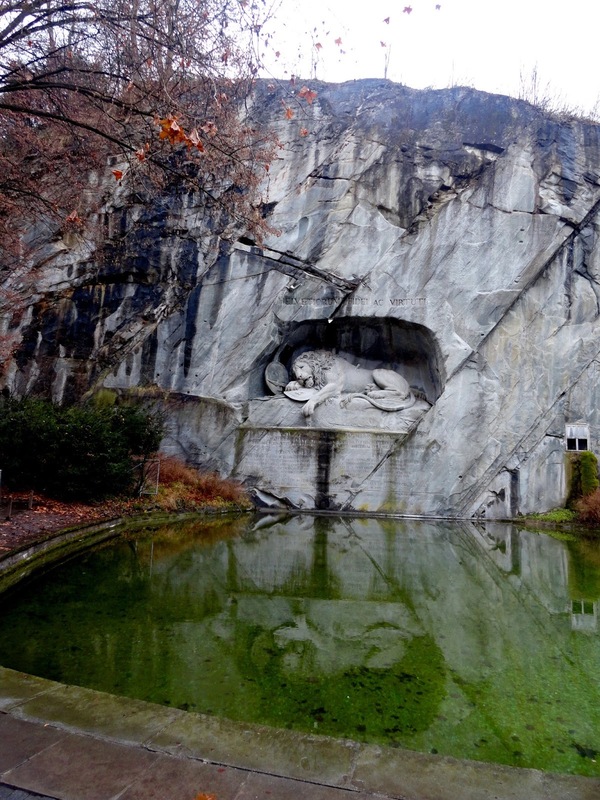 Lion Monument or Löwendenkmal- Have written a detailed post on this since I loved it so much. This is a Lion statue built in commemoration of Swiss guards who fought bravely and were killed in the French revolution of 1792. It is said that this wounded Lion statue is the most sad and moving piece of art in the world. More on Lion Monument, Switzerland. 2. Luzern Lake- Blue water lake in the middle of the city and so clean that you can see the reflections of the mountains on it. It is indeed beautiful and you cannot miss it. It is right outside the central station. 3. Kapellbrücke or Chapel Bridge- This bridge stands tall for so many years, it was originally built in 1333, was almost completely burnt in 1993 and was reconstructed in 1994. It connects the old and the new parts of the town. Yes its wooden and it was built long long ago. It actually shakes if too many people are walking on it and its a bit scary. 4. Luzern Ferry cruise- This is a must try and I would recommend everyone to try it. They have ferry with different routes, different timings- half day, full day and hour trips as well. As such the city is amazing, but as the cruise moves forward, it takes you closer to the Alps and its gets really chilly. There are stops at small villages and you are free to get down wherever you want. I remember there was one village stop from where you could get to Mt. Rigis and there was a cable car as well. And while returning you could take any other boat while on its return journey. However we were so mesmerized by the cool winds and beautiful views that we decided to continue on our journey rather than stop over. 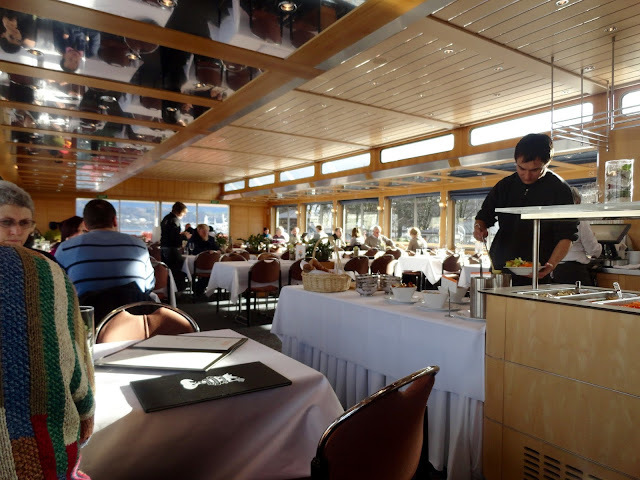 We had taken a half day cruise but regretted that we should have taken a full day one as this was the best highlight of our Switzerland trip. We had a euro pass so it was free to board any ferry, train and luckily ferry was covered in it. This is also covered in Swiss pass. You will notice the ferry office just outside the station, they do not understand English but they will give you a pamphlet with timings and routes. 5. Old town- Similar to other old towns in Switzerland or Germany. Narrow streets with shops on either sides. Somehow I noticed there were many Saloons on the way. 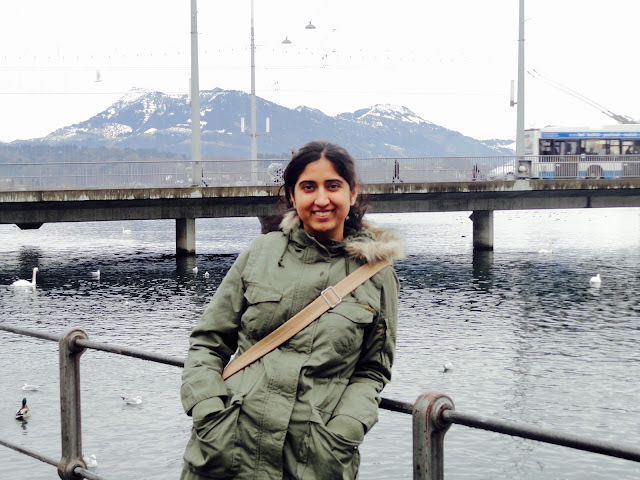 On my Swiss trip.. 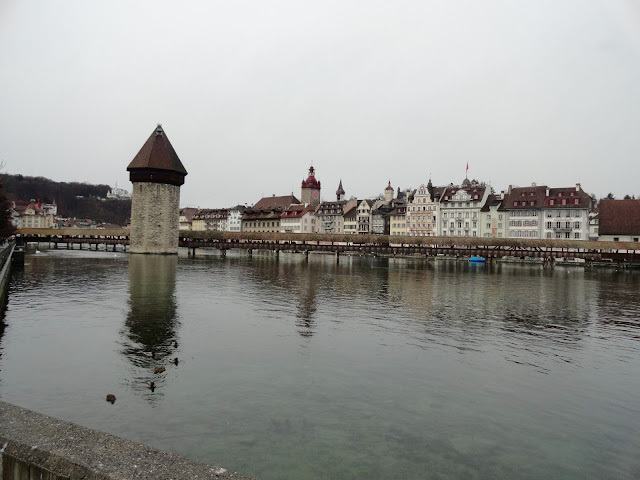 I have also written blogs about Zurich and Bern.. do visit for more details..
All in all this is one of the most beautiful cities in Switzerland and I would recommend everyone to include this in our itinerary. P.S - All these pictures are taken from my Sony Cybershot camera!!! Detailed information of the place with amazing Photographs.. A good Travel Post! Wonderful tour of the place. Beautiful images. Nice info and Awesome photos. Great pictures! 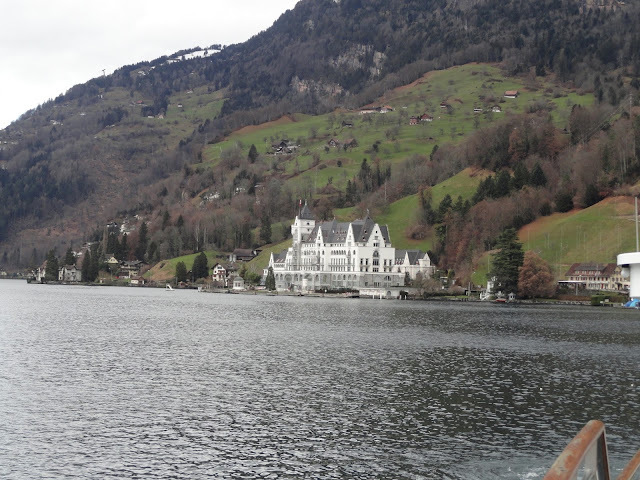 When I had been to Luzern, I just covered it by walk. Probably I should have tried the ferry cruise as well! Such a wonderful post and your photos are beautiful! Thank you so much for sharing. Enjoy reading this informative post and love your beautiful photos too..
Amazing pictures and you are lookoing beautiful. I feel jealous to see pics of Switzerland, my dream destination! But then I would surely go there some day. Love that statue of the lion. It's done so beautifully.